Czibulka was born in present-day Slovakia and originally studied piano. He was an Hungarian and came to Vienna where in 1865 he conducted the orchestra at the Carltheater in Vienna. He later became bandmaster of two different regiments based in Prague, but settled in Vienna where he composed various stage works. Among his six operettas were Pfingsten in Florenz and Der Bajazzo. In Vienna he became well known for his spectacular concerts in the Rotunde. 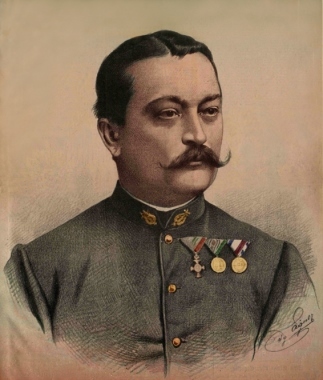 He was thus both a military conductor and a theatre conductor, and was considered to be among the top three with similar background, the other two being Carl Michael Ziehrer and Karl Komzák. In 1881 he won first prize at an international band competition in Brussels. His two most famous pieces that are still part of standard salon orchestra repertoire are the Stephanie-Gavotte and the intermezzo Liebestraum nach dem Balle, but he wrote over 300 orchestral pieces. The Johann Strauss Society of Great Britain has re-introduced two more of his works, the polka mazurka Von der Hochschule in the CD release Spirit of Vienna in 2007 and the waltz Wiener Frucht'ln performed at the 2011 Oxford Ball. A comprehensive book on his life and works was written by Friedrich Anzenberger and published in 2000 by the City Library of Vienna.